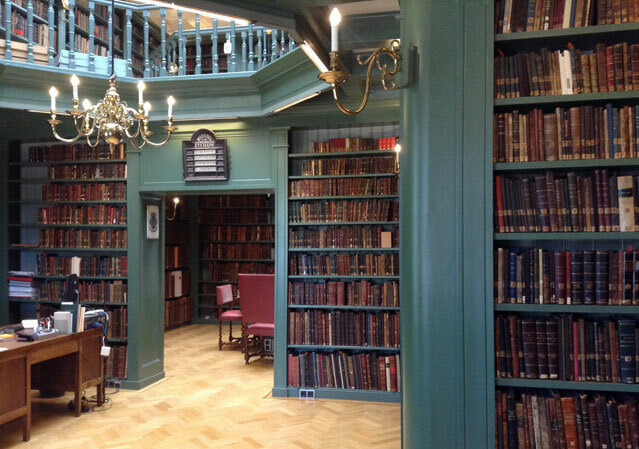 Ets Chaim is the oldest Jewish library in the world which is still open for study. It is open by appointment only from Monday to Friday. During the one-hour tour, we will visit the 400-year-old Jewish library with its even older manuscripts and books. Some of these publications were printed in Amsterdam as long ago as 1650. The collection reflects the humanistic ideal of knowledge and science in the 17th century. This tour is available for groups up a maximum of 10 persons. See also The manuscript collection of the World Cultural Heritage Library Ets Haim – Livraria Montezinos. Per hour 80 euro per family/group with a minumum of 1½ hour. Excluded admission fees for the Portuguese Synagogue.